Jesus did not come to destroy the Law. He came to fulfill its precepts, obligations and prophecies to the last letter. He fulfills the function of all the sacrifices, He lives a perfect life and keeps the essence of its commandments flawlessly, and brings to fulfillment all its prophecies - the greatest being His atoning death on the cross, which ushers in the New Covenant...and brings the Old Law to its natural conclusion.Yes, the Old Law is obsolete and has passed away. No, our Lord did not "destroy" it or "abolish" it; rather, like so much else of the Old Testament, He took it up, transfigured it, ennobled it, and fulfilled it. How do we refute the Jews' assertion that the Law of Moses is permanent...interpreted by the rabbis and those in the Sanhedrin leading up to the Talmud? And also how do we demonstrate that Jesus is the Messiah when they have a doctrine that the Messiah must be a political leader? Traditional Catholicism may claim to have unbroken tradition, but the Jews will respond that we broke from their tradition, therefore making us heretics in their view. I know this is an old blog post, but these thoughts keep bugging me. The fulfillment of the Old Covenant by the coming of Christ is one of the most important teachings of the Christian faith. Understanding the relationship between the New Testament and the Old is essential for grasping how the claim of the Old Testament are fulfilled in Jesus Christ. The question of the impermanence of the Mosaic Law is a very broad question that cannot be exhaustively answered in a single post. This question was of pressing concern to the Church Fathers, however. Judaism was a powerful rival of Christianity in the late Roman Empire; Christians felt an urgent need to answer Jewish attacks on the claims of the Church to be the fulfillment of Old Testament Israel. We refer the reader to two important patristic works on the subject: Dialogue with Trypho the Jew by St. Justin Martyr, and Three Books of Testimonies Against the Jews by St. Cyprian of Carthage. These lengthy works give a very systematic exposition of the early Church's understanding of the transitory nature of the Mosaic Law and the Law's fulfillment in Christ. These works a very dense, but essential reading. That being said, I think there are a few points we can make to help address the question. One first must realize there is nothing you can say to the Jews that will suddenly convince them. There is no "gotcha" verse or argument that will make them stop and think "Whoa...he's correct. Our thousands of years of tradition is wrong." That should not be the aim here. It sometimes happens that over time the accumulated weight of many arguments, coupled with a charitable example and the grace of the Holy Spirit, can win someone over. But in presenting the following points we are aiming more towards edifying Christians rather than building a case against the Jews. "For leaving the commandment of God, you hold the tradition of men, the washing of pots and of cups: and many other things you do like to these. 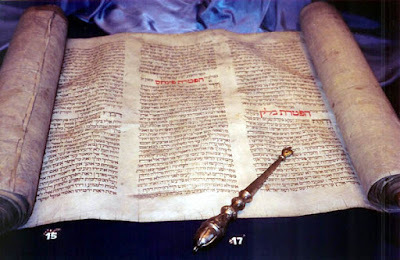 And he said to them: Well do you make void the commandment of God, that you may keep your own tradition" (Mark 7:8-9). "Their senses were made dull. For, until this present day, the selfsame veil, in the reading of the old testament, remains not taken away (because in Christ it is made void). But even until this day, when Moses is read, the veil is upon their heart. But when they shall be converted to the Lord, the veil shall be taken away" (2 Cor. 3:14-16). Of course, ultimately, they killed the Messiah Himself because their tradition had blinded them to the truth about who the Christ would be. "The Lord your God will raise up for you a prophet like me from among you, from your brethren—him you shall heed— just as you desired of the Lord your God at Horeb on the day of the assembly, when you said, ‘Let me not hear again the voice of the Lord my God, or see this great fire any more, lest I die.’ And the Lord said to me, ‘They have rightly said all that they have spoken. I will raise up for them a prophet like you from among their brethren; and I will put my words in his mouth, and he shall speak to them all that I command him" (Deut. 18:15-18). God had spoken to the Israelites at Mount Horeb, but they had begged him not to speak anymore to them because they were terrified of His presence. Moses, His messenger, they rebelled against when they sinned and made the golden calf, as well as at other times. Thus Moses promises them that in the future God will raise up a prophet whom they will listen to. Thus the Israelites were awaiting the coming of a new prophet from among their brethren who would speak with the power and authority of Moses and whom they would heed. This prophet would reveal God to them in a way they could draw close to, not like the fiery cloud on Horeb. In this passage, God says He will make a new covenant with Israel. Note that this new covenant is "not like the covenant" He made with them through Moses - i.e., it is not just a rehash of the Mosaic Law. It is of an essentially different character altogether. The law will be written on their hearts, not on tablets of stone. It is a kind of interiorization of the Mosaic Law. “Therefore say to the house of Israel, Thus says the Lord God: It is not for your sake, O house of Israel, that I am about to act, but for the sake of my holy name, which you have profaned among the nations to which you came. And I will vindicate the holiness of my great name, which has been profaned among the nations, and which you have profaned among them; and the nations will know that I am the Lord, says the Lord God, when through you I vindicate my holiness before their eyes. For I will take you from the nations, and gather you from all the countries, and bring you into your own land. I will sprinkle clean water upon you, and you shall be clean from all your uncleannesses, and from all your idols I will cleanse you. A new heart I will give you, and a new spirit I will put within you; and I will take out of your flesh the heart of stone and give you a heart of flesh. And I will put my spirit within you, and cause you to walk in my statutes and be careful to observe my ordinances. You shall dwell in the land which I gave to your fathers; and you shall be my people, and I will be your God" (Ezk. 36:22-28). This washing is essentially unlike the ritual washings proscribed by Moses. It consists of giving a "new heart" and a "new spirit." The washing is not a fleshly washing, but an interior renewal, such that the law of God will be able to be kept in a new manner, not like the Old Law. These passages show us that God will indeed inaugurate a New Covenant that will be fundamentally different in nature from the Old Covenant. Besides being different in nature, it will also be geographically universal - this is found in the prophets as well. This is beyond the scope of this article, but I recommend the essay "Epiphany in the Prophets" (USC, 2013), as well as "Old Testament Typology: Epiphany" (USC, 2015) for the biblical background of the universality of the New Covenant. Thus the New Covenant is prophesied in the Old Testament, it is markedly different than the Old Testament Law of Moses, and will be geographically universal. This is all well and good, and Jews would acknowledge that all these things will come to pass in the Messianic age. The real difference between Jews and Christians is in when the Messianic age will come. For Jews, the Messianic age has not happened yet and the Law of Moses is still in effect. For Christians, the coming of Christ has definitively ended the Old Testament and we are now in the Messianic era, though before the definitive realization of His kingdom at the end of the age. It is well-known that the Jewish conception of the Messiah was fundamentally political, and that they expected with his reign the overthrow of Roman and Gentile dominion in the political order. This was not entirely unreasonable. Many Old Testament Messianic prophecies speak of the Messiah as destroying or ruling over the nations, notably Psalm 2, Psalm 110, Daniel 2 (as well as other prophecies of Daniel), Isaiah 9, Isaiah 11, and many other passages. 2 Samuel 7 says that the Messiah will be of the line of David and Solomon and will rule over a kingdom whose duration is eternal. It stands to reason that the nature of this kingdom would be like the Davidic kingdom. The problem is not misinterpreting Old Testament passages that make the Messiah a kingly figure; it is clear that this is taught. The problem is in traditional Jewish understanding of passages that show another side to the Messiah. For example, Isaiah 53 which speaks of how the Messiah will suffer and be humiliated, Zechariah 13 which states that the Messiah will be struck and his sheep scattered; Psalm 22, which prophesies the details of the crucifixion minutely, and Wisdom 2, which also foretells the suffering of the righteous Servant of God at the hands of the wicked. The "prophet" is probably the prophet referred to in Deuteronomy 18. Notice that according to the Scriptural exegesis of the Pharisees, this prophet is distinct from the Messiah (as well as the Prophet Elijah, whose return the Jews were also expecting). This is an example of the division of Scriptural prophecies about the Messiah into two distinct classes, whereas Christian revelation as always seen the suffering/meek and glorious/reigning prophecies about the Messiah all reconciled in the person of Christ. Jews, however, did not make this reconciliation. It was quite impossible in their understanding that the Messiah should suffer. This is why St. Paul says "we preach Christ crucified: a stumbling block to Jews" (1 Cor. 1:23); the idea that the Messiah could suffer the death of crucifixion at the hands of Gentiles was as abhorrent to the Jews as the idea of a resurrection of the flesh was to the Greeks (cf. Acts 17:32). The crucifixion of the Messiah was the fundamental issue Jews took with the Gospel. Of course, the suffering of the Messiah is not in opposition to His glory. The entire paradox of the mission of Christ is that in His suffering He has His triumph. He finds His glory through meekness and submission to the will of God. "It is too small a thing for you to be my servant to restore the tribes of Jacob and bring back those of Israel I have kept. I will also make you a light for the Gentiles, that my salvation may reach to the ends of the earth"(Isa. 49:6). Traditional Jewish understanding of the Old Testament did not seem to grasp that God did not will for the Gentiles to be destroyed and brought prostrate to the Jews; rather, He wanted to elevate them and make them brothers with the Jews in a single family of God that would be a kind of reconstituted Israel, the "Israel of God" (Gal. 6:16) composed of Jews and Gentiles both following the teaching revealed by the Messiah. And we can see this Jewish misunderstanding in the way the Jews react to the full inclusion of Gentiles into the Church throughout the New Testament. By the way, it should be pointed out that some Jews, notably of the Reformed or more moderate branches, do away with the concept of a Messiah altogether and interpret the suffering Messianic passages as referencing Israel itself. Thus, for example, when Isaiah 53:4 says "Surely he has borne our griefs and carried our sorrows; yet we esteemed him stricken, smitten by God and afflicted", they apply the passage to Israel allegorically, such that it is Israel as a people who are suffering - and that Israel's suffering is somehow redemptive of the human race. This concept illustrates the trouble Jews have traditionally had with the suffering Messiah passages. What are we to do with the passages that do predict a glorious triumph of the Messiah over the nations, such as Psalm 2? God wills to establish the universal dominion of the Messiah, but He does not wish to do it without the cooperation of mankind. Therefore He has left a period - whose duration is known only to God - where mankind will come to know and love God through the work of grace, not through force, for "the son of man did not come to destroy men's lives but to save them" (Luke 9:56). But though God is patient, He has appointed an hour when He will judge the living and the dead through the Christ, at which time all the glorious prophecies about the Messiah will be fulfilled in the triumphant everlasting reign of the Son of God. Thus, the Jewish confusion about the nature of the Messiah's reign has to do with (a) their reluctance to attribute the suffering passages and the triumphant passages to the same individual, and (b) historical failure to see that the plan of God was the full inclusion of the Gentiles into His family; it is this full, voluntary inclusion which makes the "Church age" necessary and accounts for the gap between Christ's first and second advents. "Christ has obtained a ministry which is as much more excellent than the old as the covenant he mediates is better, since it is enacted on better promises. For if that first covenant had been faultless, there would have been no occasion for a second...In speaking of a new covenant he treats the first as obsolete. And what is becoming obsolete and growing old is ready to vanish away" (Heb. 8:6-7, 13). With the coming of the perfect, the imperfect passes. The Mosaic Law was like a teacher that God's family needed in its youth; but with the coming of Christ, God's people reaches maturity and no longer needs a teacher (cf. Gal. 3:24). The fascinating thing about the Old Law is that since the coming of the New Covenant, it is actually impossible to keep the Mosaic Law. I will not pretend this is my observation; others have commented upon it before, including Fr. Ripperger, among others. The Mosaic Law requires animal sacrifices. No animal sacrifices are currently being carried out. The Law - at least since the time of Solomon - required a centralized worship in the Temple of Jerusalem. This is no longer possible. The keeping of the Mosaic Law requires a High Priest and Levites, who cannot merely possess the title but must be biological descendants of Aaron and Levi respectively. The genealogical trees of the Jews have long been lost. Thus, as Fr. Ripperger states, there is no such thing as a practicing Jew. To be sure, the Jews have invented justifications and exceptions to why the current Synagogue system of Jewish worship is acceptable, but these are circumlocutions to get around the problem that the actual keeping of the Mosaic Law today is impossible and that the Synagogue system exists as a kind of "replacement" Judaism due to the fact that actual Judaism died out in the year 70 AD with the destruction of the Temple and the priesthood. None of this will convince a Jew. But it should give certainty to a Christian. Yes, we are "heretics" from the Jewish point of view. But that is ultimately irrelevant. How do we know the Mosaic Law is not permanent? The Old Testament itself tells us that one day a New Covenant will come that will be fundamentally different than the Old. Thus, the Mosaic Law itself attests to its impermanence. It comes to an end with the advent of the Messiah, who will be both meek and glorious - in His meekness He will draw all the Gentiles to Himself, and in His triumph He will crush those who refuse to submit. Jews have not understood this; indeed, as St. Paul says, a "veil" is over their interpretation of the Law. The fundamental disagreement with the Jews is on when the Messianic age begins; Jews historically have not valued the full inclusion of the Gentiles into God's family and hence see no reason for a "Church age", which explains the distance between Christ's first and second advents, a distance which exists to "make disciples of all nations" (Matt. 28:19). With the advent of the Messiah, the Old Covenant passed away, not only in its obligations, but in the very possibility of its observance. Thus, in the New Covenant, both Jew and Gentile are all called to obey the Messiah, as Moses prophesied (Deut. 18:15); it is this family of those who believe in Christ that is called the true "Israel of God" (Gal. 6:16). Thank you for this insightful article. All glory to the Blessed and Holy Trinity. Amen. "they will no longer say, 'The ark of the Lord’s covenant': For your entire assembly will be holy, and I will dwell therein as though it were an ark. nor shall they remember it: Heb. יפקדו, like יזכרוּ, remember or mention. nor shall it be done anymore: i.e., it shall not be done what was done with it already in Shiloh, that they brought it into the battle with the Philistines in the days of Eli." Considering how important this ark is to the Mosaic Law, one wonders if its disappearance also mark an end to this same Law.